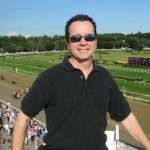 …Berman says the focus of the issue should be the jobs and economy that horse racing generates in Florida, a number that climbed 47% since the last study was conducted over a decade ago, according to a 2018 report by the American Horse Council (AHC). Broward local Jennifer Pierce echoes that sentiment. She’s been working within the broader industry for 25 years. Her history includes lobbying for Gulfstream Park — home to the Pegasus World Cup — and “instant racing” tracks. Nowadays, Pierce acts as a consultant for Florida pari-mutuel permit holders. Pierce couldn’t comment on the sport’s parallelism to greyhound racing but stressed the economic contributions we see on a local level in Broward County. “Gulfstream attracts a much larger amount of interest than other racetracks, which is part of what makes it so successful. Because of the enormous amount of money wagered down here, there’s more money to give out for prize money. So, therefore, it attracts the better horses and the better the horses, the more interest you have betting on it. So more people come down here and they make it a destination,” she says.